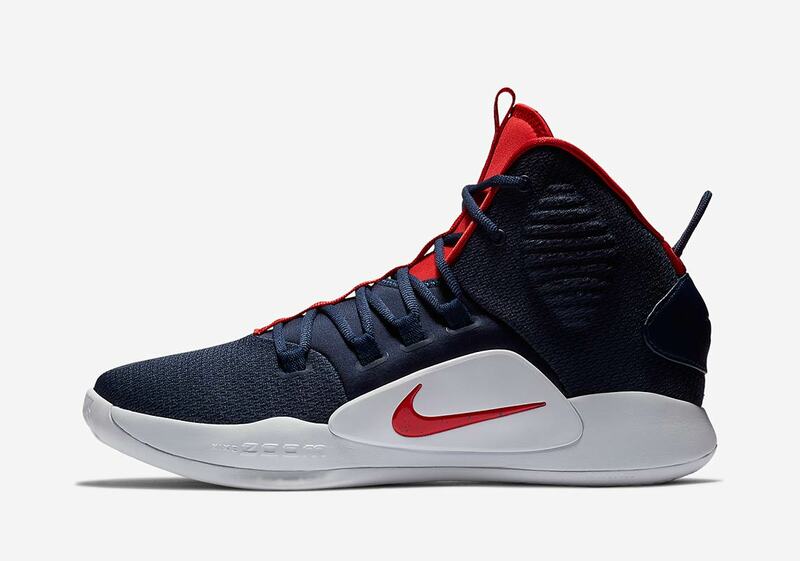 Will This Nike Hyperdunk X Make An Appearance At Team USA’s Minicamp? 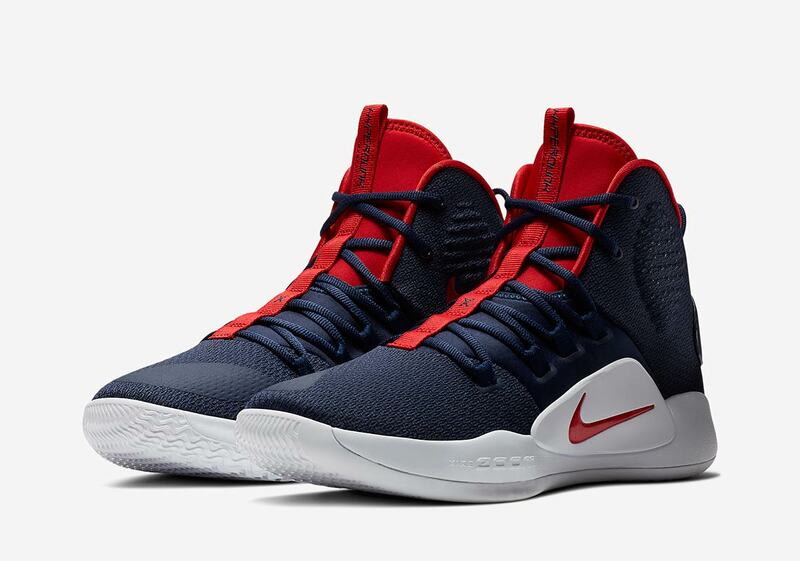 USA Basketball opened camp in Las Vegas this week to begin preparation for the 2020 Olympic Games, and with their usual knack for perfect timing Nike has unveiled a new “USA” colorway of the Hyperdunk X. 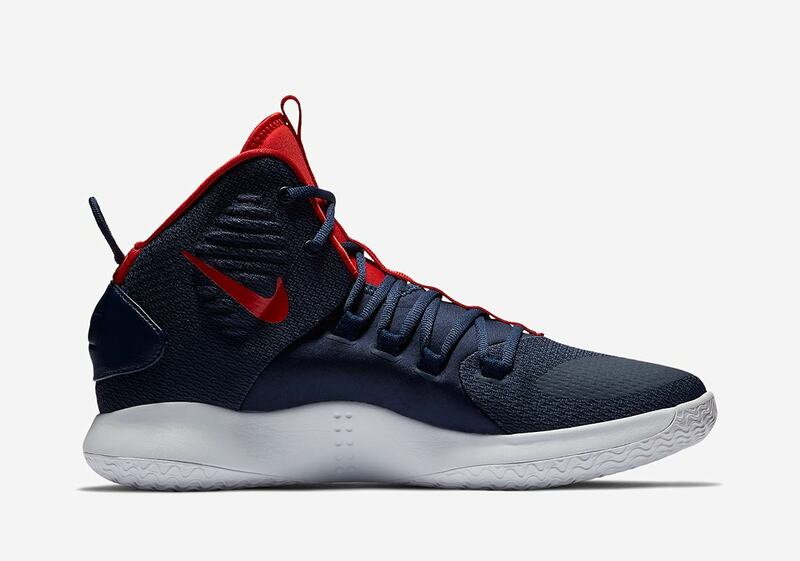 A fitting tribute seeing as the original Hyperdunk was introduced in 2008 and debuted by none other than Kobe Bryant in the Olympics, this new Hyperdunk X boasts a unique combination of patriotic colors and peak performance materials. 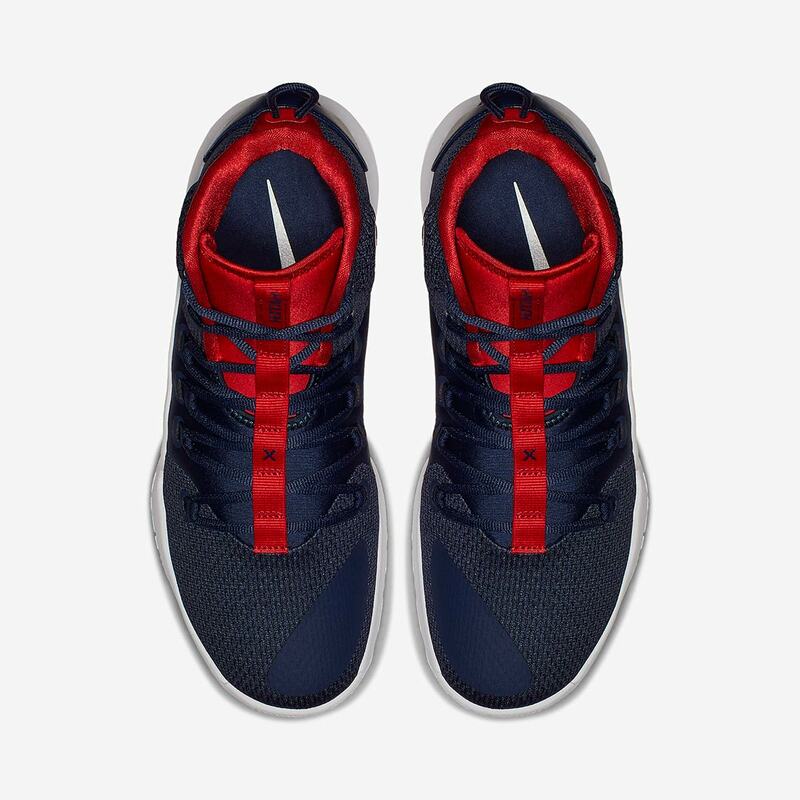 The shoe draws upon a dark navy blue for the base, while red accents appear on the tongue and throat. The lacing system drops down to the bottom of the midfoot for extra lockdown, and the shoe’s combination of a high ankle collar and low heel ensure maximum support without sacrificing any flexibility. 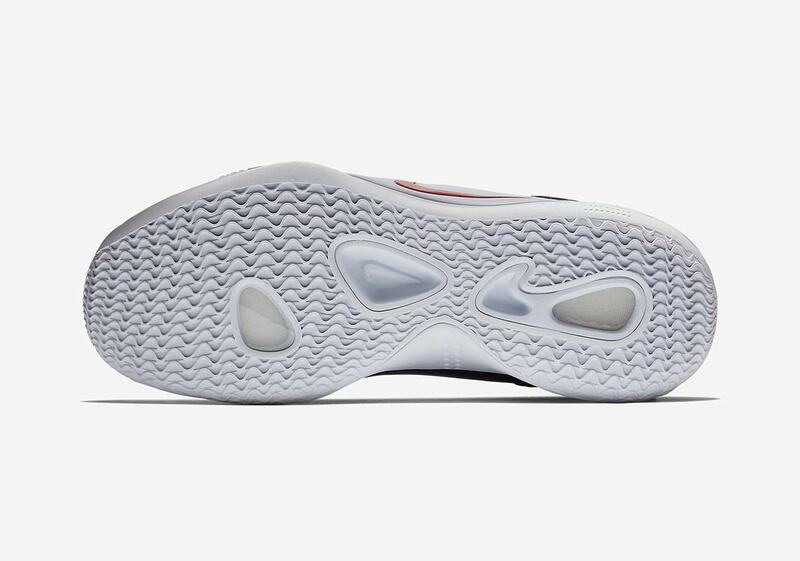 A red midfoot swoosh provides branding, and the white midsole features an exposed-from-the-bottom full length Zoom Air cushioning unit for comfort and performance. 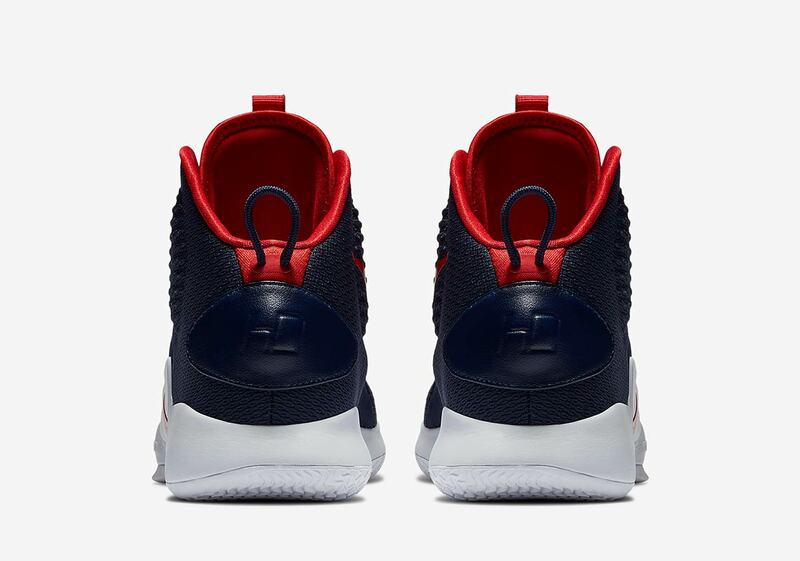 The shoe is completed with special “HD” branding on the heels and an “X” on the throat, nodding to ten years of the now-iconic basketball shoe. Look for these Hyperdunks to release later this summer, and be sure to keep it locked to our Sneaker Release Dates page for all the info and updates you need on Nike Basketball releases.